Andy Rubin, the founder of Android, has officially unveiled the first phone from his company, Essential. This is what the phone looks like. 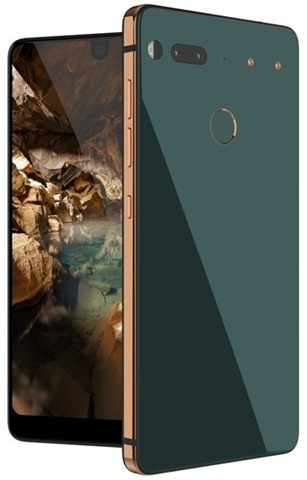 The Essential PH-1, sports a 5.7 inch edge-to-edge, Quad HD display with a 19:10 Aspect Ratio, 500 nits Brightness, 1:1000 Contrast Ratio, and is protected by Corning Gorilla Glass 5 cover glass. The device runs on Android 7.1.1 Nougat, and is powered by a 10nm 64-bit octa core Qualcomm Snapdragon 834 processor, with an Adreno 540 GPU and 4GB of RAM. The device has 128GB of onboard storage in the form of a UFS 2.1 chip. 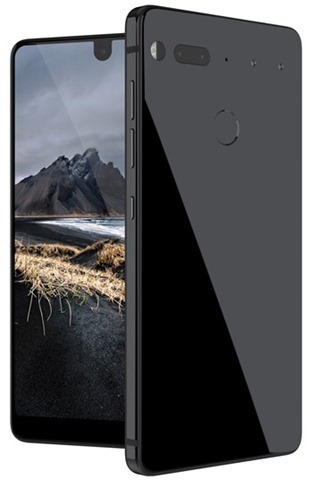 The Essential phone features a dual camera set up with a 13 megapixel RGB lens and another one for monochrome, with Hybrid AutoFocus, PDAF, IR Laser AutoFocus, amd is capable of recording 4K videos @ 30fps, FullHD @60 FPS and HD @120FPS. The selfie camera on the phone is an 8 megapixel fixed focus lens, with an f/2.20 aperture and 16:9 aspect ratio. 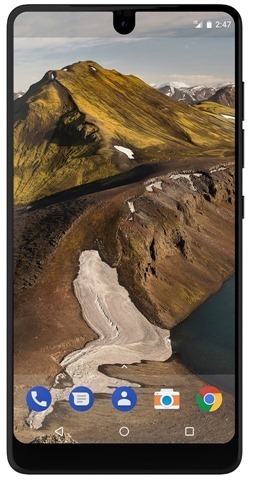 The Essential phone packs a 3040 mAh battery, which supports fast charging, and has a USB Type-C connector, and a fingerprint sensor on the back panel. Phone Dock, which is essentially (pun intended) a wireless charging cradle. 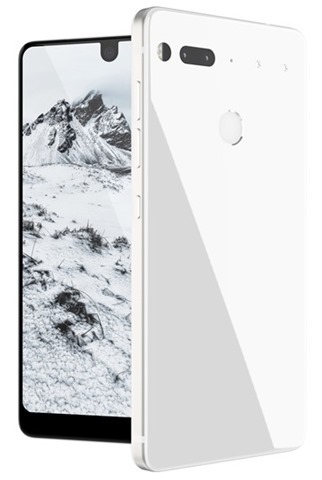 The Essential phone has been priced at $699 and at $749 for the phone + 360-degree camera. The device will start shipping in June, and will be available in four colours: Black Moon, Stellar Grey, Pure White and Ocean Depths. Unfortunately there is no word yet about whether the phone will be available outside the U.S. But given the premium price tag, perhaps it is not something to worry about.